Since my husband and I are successful entrepreneurs and life coaches, our work takes us all over the world. From New Zealand, Fiji, my husband’s home in the United States and mine in Australia, our family had been fortunate enough to afford to travel frequently and in the form of luxury. 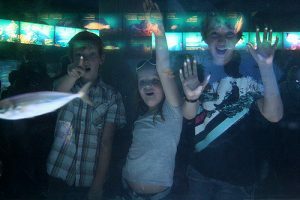 Not only does this provide a unique experience the whole family can enjoy, but my children are gaining a very enriching cultural experience early on in life that neither I nor my husband had the opportunity to experience until we were well into our twenties. Providing my children with these experiences is a very rare opportunity a parent has. 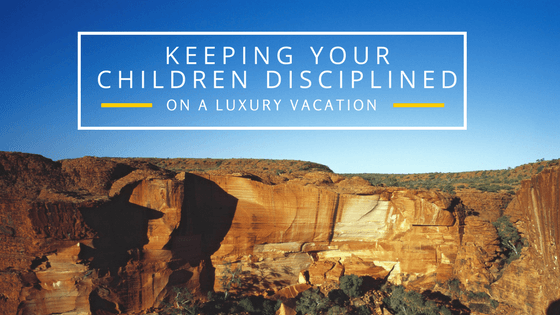 Since it is so rare, there aren’t too many written rules about how to keep your children disciplined while they’re on a trip few children — or even adults — receive in their lifetime. Below are a few of my guidelines that I personally use in my family that you could perhaps instill on your children one day. How about a field trip to explore the geology of the rocky shores of Australia? Or watching White Faced Herons hunt for prey near tide pools on the New Zealand coast? Since we travel all around the world, our kids are exposed to a variety of nature’s wonders that many kids only learn about in textbooks. Our kids learn about these things in person, and we make sure we make it fun, yet educational, by reading signage with information about the area and its wildlife, as well as attending guided tours. Your kids will feel grateful that they’re learning this in person instead of through a textbook in a classroom. If you’re going on a luxury vacation, you probably have spas and days spent at the beach and pool in mind. Although those luxuries are certainly relaxing (and may be well needed for you and your family! ), it’s also important to remember that you should also expose your child to the austerities life may bring to others. For example, volunteer to hand out meals at a food shelter for a few hours. Or if the area has recently suffered from a natural disaster, purchase necessities and encourage your kids to pass out blankets, water, food and toys to victims. When kids are on vacation, it can be easy for them to forget rules that are typically set for the home. Just like you establish house rules, you have to establish vacation rules as well — and it’s best to keep them similar to maintain consistency. You should still set a curfew for bedtime, set the expectations for good public behavior, and encourage healthy eating habits — with a little indulgence because it is vacation.